In addition, the complete series Blu-ray box set will be released as well, featuring all nine seasons from the show’s original run as well as the event series. You can view The X-Files Blu-ray cover art in the gallery below. 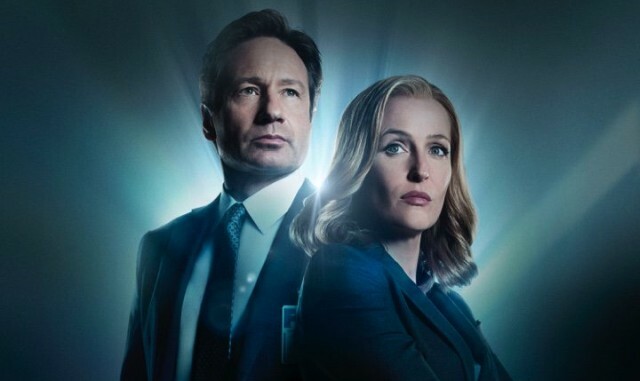 David Duchovny and Gillian Anderson reprise their iconic roles as Agent Fox Mulder and Agent Dana Scully in the event series which will features a mixture of stand-alone investigative episodes and those that further the original show’s seminal mythology. The all-new episodes feature appearances by guest stars, including Joel McHale (“Community”), Robbie Amell (“The Flash”), Lauren Ambrose (“Dig,” “Six Feet Under”), Annabeth Gish (“The Bridge”), Annet Mahendru (“The Americans”), Rhys Darby (“Flight of the Conchords”), Kumail Nanjiani (“Silicon Valley”) and William B. Davis, who reprises his role as “Cigarette Smoking Man.” Three of the episodes are written and directed by Chris Carter, with the remaining new episodes written and directed by original series veterans Glen Morgan, Darin Morgan and James Wong. The X-Files originally premiered in September 1993. Over the course of its nine-season run, the influential series went from breakout sci-fi favorite to massive global hit, and became one of the most successful television dramas of all time. The show, which earned 16 Emmy Awards, five Golden Globes and a Peabody Award, follows FBI special agents Scully (Gillian Anderson) and Mulder (David Duchovny), as they investigate unexplained cases – “X-Files” – for which the only answers involve paranormal phenomena.